If you’ve always been intrigued by India and wanted to enjoy a brilliant holiday in the country, then Goa acts as a perfect introduction to the sub continent. This coastal state boasts wonderful architecture and biodiversity. It also has a great reputation for parties – Goa really does have something for everyone! Over the centuries, Goa has been given many names; possibly the most beautiful is Pearl of the Orient. 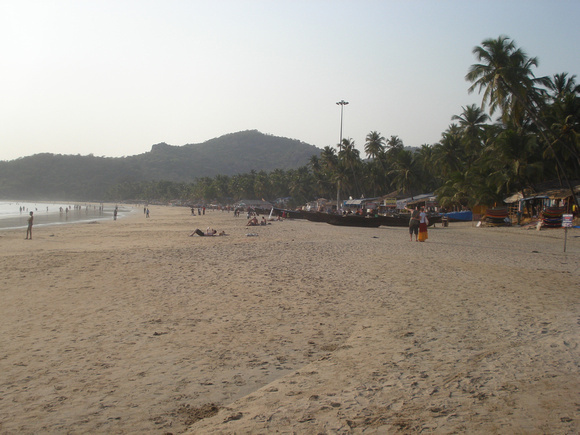 If you’re looking for stress-free holidays to Goa, then take a look online. Many travel companies offer package holidays which organise almost everything for you; check out http://www.thomascook.com/lp/1×6-enju30/holidays-goa/ for a good starting point. Goa is on India’s relaxing west coast and is packed full of monuments, spas, beautiful beaches and a diverse cultural history. There is a strong Portuguese influence right across the state today, and Europeans have visited Goa since Vasco de Gama’s arrival in 1498. The sanctuary is close to Molem and is just one of four protected environments in Goa. This is the place to visit if you want to catch sight of leopards, Malayan Giant Squirrels and slithering snakes including, pythons and cobras. If you want to get an overall picture of the park make your way to the Devil’s Canyon View Point. This is also the place to observe nature from a safe distance. Look out for the beautiful Goa Dudhsagar Waterfalls. Most visitors to Goa spend their time on and around the State’s beaches, and why not combine this pleasure with an Indian massage for the ultimate way to unwind? There are numerous spas along the whole of the coastline. Aura Spa on Holiday Beach is wonderful or you could go to Mandrem Beach and enjoy the ultimate in spa experiences at the Ashiyana Retreat Centre. You can take part in yoga classes or you could even learn how to give a massage at the retreat’s school of massage. If you’re looking for a sense of everyday life in Goa, then go to Anjuna and visit the flea market. North Goa is a great place to visit if you want to travel inland and explore some sleepy Goan villages and towns. If you go to Siolim, you must check out the Siolim House. If you want to catch sight of a Portuguese fort, head off to Fort Tiracol in Arambol.